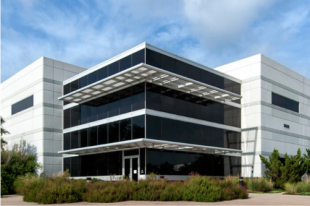 Logistics Realty, LLC is a family-owned operator of commercial real estate services throughout the Dallas/Fort Worth Metroplex and United States. In existence since 1980, we have evolved into a full-service real estate company with a primary emphasis is in the representation of large users of industrial and office space including real estate owner, operator, broker, and developer. With all of these capabilities, we are still able to retain the culture of a small boutique firm. This allows us to quickly react to the demands of a changing marketplace while offering individualized and integrated real estate solutions across multiple sectors. Real Estate is in our "DNA"
At Logistics Realty, our business is approached not as a transaction but as a relationship, with the goal of creating value for large space users in today’s marketplace. Our success stems from our clients’ success. Based upon the company’s unique commercial real estate strategy, Logstics Realty, LLC has represented some of the top industrial companies in the U.S.
Deals Deals and More Deals. We have found that timing is everything and a sense of urgency is what it takes in this environment. Despite the news and economy, we have been able to attribute our success to our client's ability to adapt and move fast. Need Space? Big or Small - We do it all! Take a look at our latest featured listing throughout the Dallas/Fort Worth Metroplex. Let us find our next space with ease.